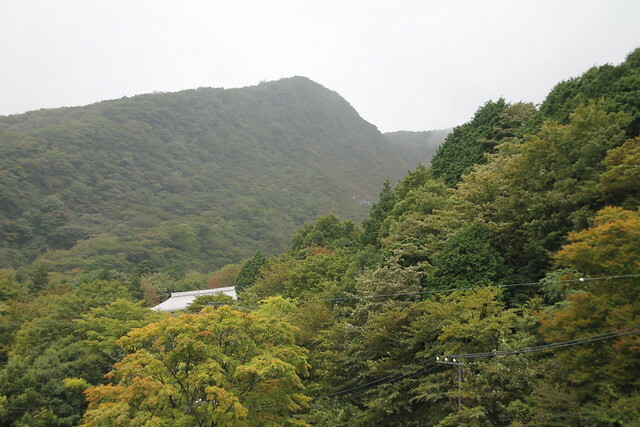 So today we said goodbye to Tokyo and escaped to the wilds of Hakone, a mountainous region to the south-west of the capital. First up, we said goodbye to our suitcases, sending them by the luggage transport system direct to Nagoya. The we boarded a series of trains. First the underground line. 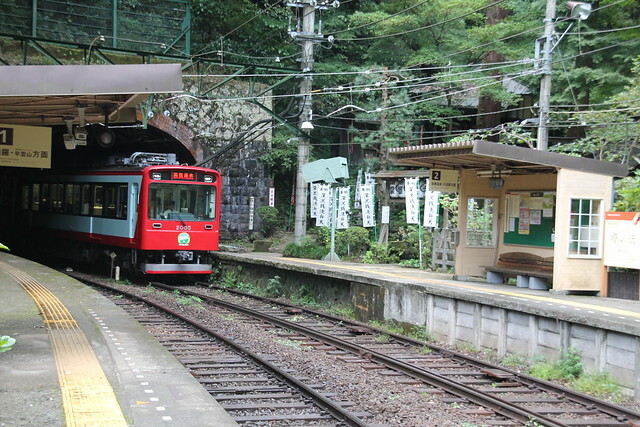 Then the local train line. Then, at Tokyo station, we got on one of the famous Bullet trains, the Shinkansen. A very mean and pointy looking train! But very comfortable. Just over 30 minutes later we arrived at Odawara, to board a train into the mountains, then one further train, running on a single track system, with passing only at stations. Each of the latter two were older than the previous. 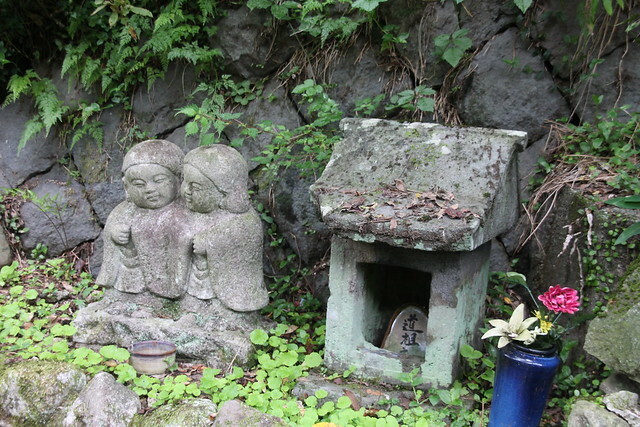 It deposited us in a place called Tonosawa, a small village at the start of the Hakone region. 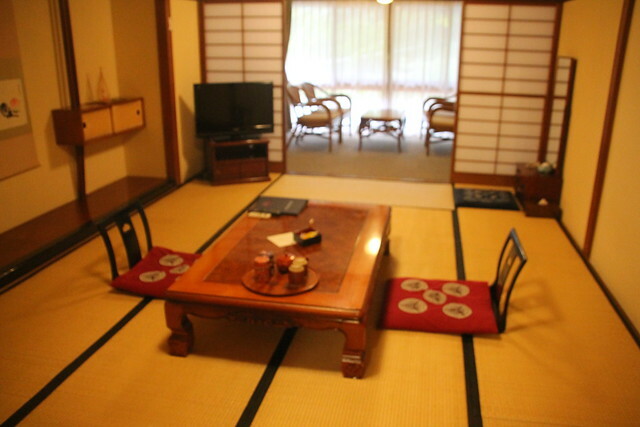 Here we’re staying in a traditional ryoken, Ichinoyu Honkan, established in 1630. That’s older than most countries! Too early to check on, we headed on further up the hill, by the old train, then a mountain cable car from Gora. 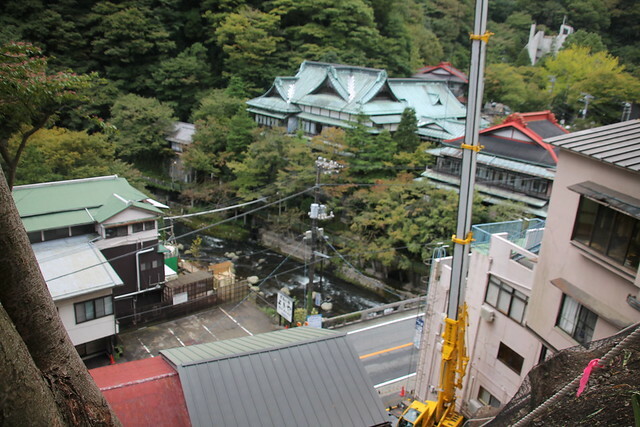 The intention was to take the dangling cable car (which they call the ropeway) and head over and down to the lake, passing a volcano and with a possible glimpse of Mount Fuji in the distance. But it was not to be, wind and rain and grounded the cable car and we were stuck this side of the mountain. Well, we could have taken a bus, but decided, not today! Back down we went, in the pouring rain, to find a lovely little cafe in Gora, called Studio Cafe Shima. 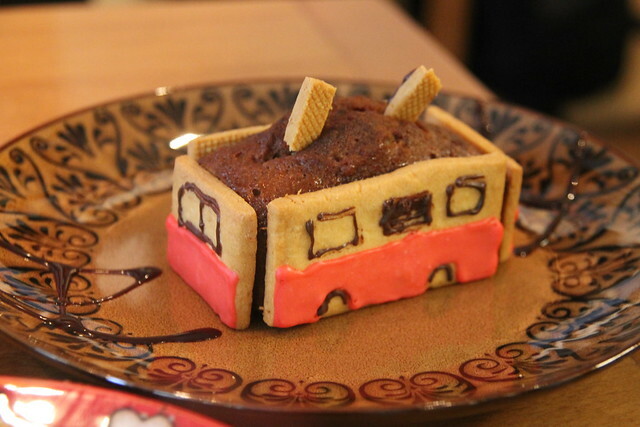 A shout out to them for being lovely, with brilliant wifi and a nice line in train cakes! 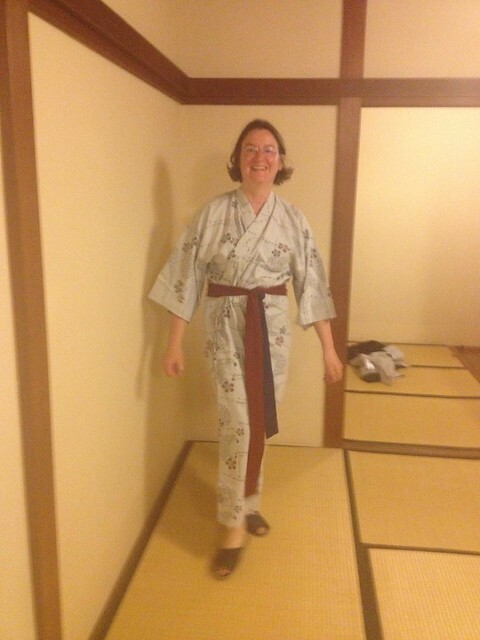 More travelling down the mountain to the ryokan, to find out bags in the room, a view over the waterfall, the water heater on for tea and the outdoor bath filled with hot spring water, ready for a soak. Brilliant. We LOVE IT! Divide and conquer again. 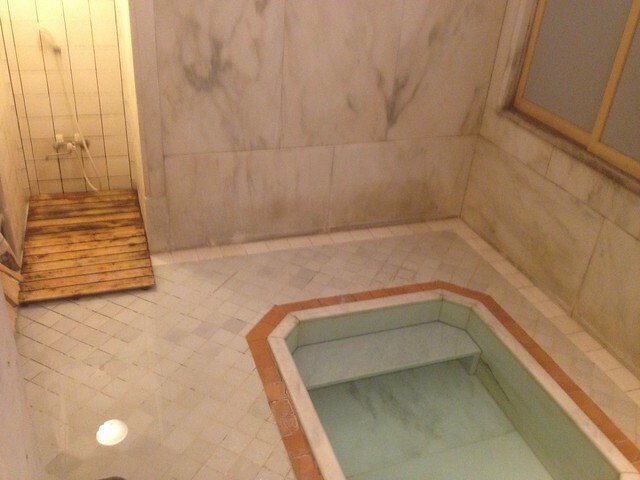 Sofia used the room bath, I went to the private bathing room. (not ready to try the public rooms!). Then it was to the hotel restaurant for the included dinner. There’s little other choice in the village. No matter, this was a multi-course feast. 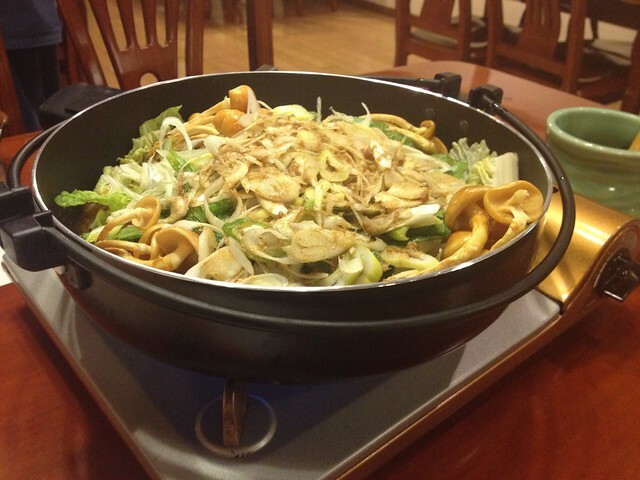 Tofu, tuna, boil your own meat in broth, dumplings, salad, pickled veg, rice, miso soup. Then crisp pear sorbet. Loved it! And I did dress for dinner! Then time to roll out the futon time to relax before we head for the busy days of the F1 ahead. One last thing, just to confirm, we have spent the day avoiding touching doubtful things! The room looks amazing.The views look amazing. The food looks amazing. Everything’s amazing!! 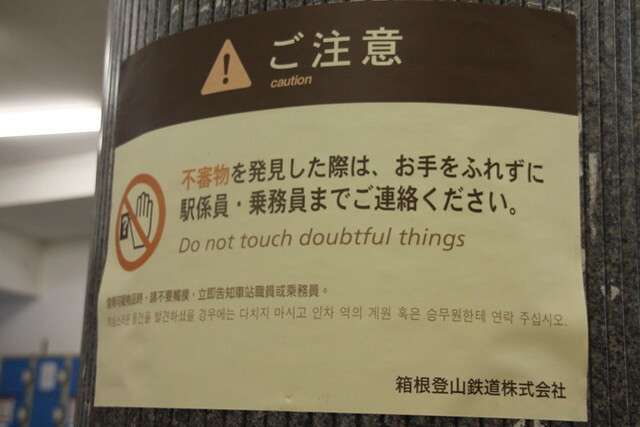 I want to touch the doubtful things.